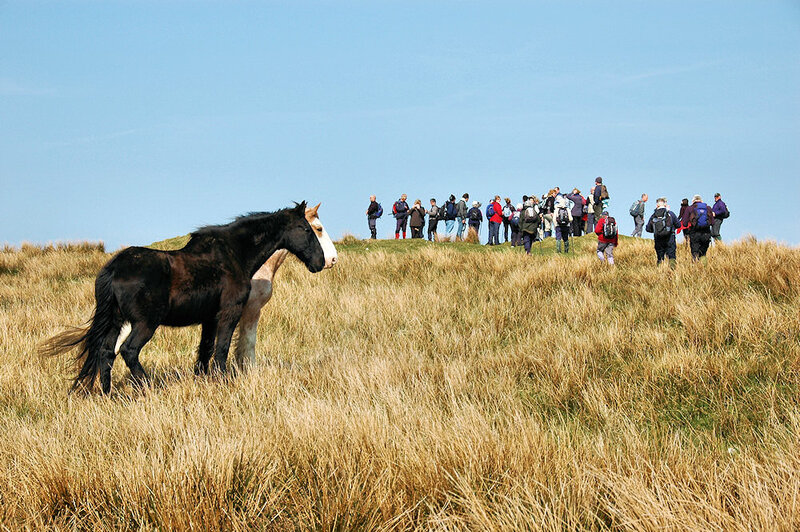 An encounter between horses and walkers during an Islay walking week a few years ago. This was on the hills between Bruichladdich and Kilchoman, somewhere on the approach to Kilchoman. I believe the horses belong to Rockside Farm. This entry was posted in Landscape, Repost, Sunny Weather and tagged horse, Islay, Kilchoman, Rockside Farm by Armin Grewe. Bookmark the permalink.